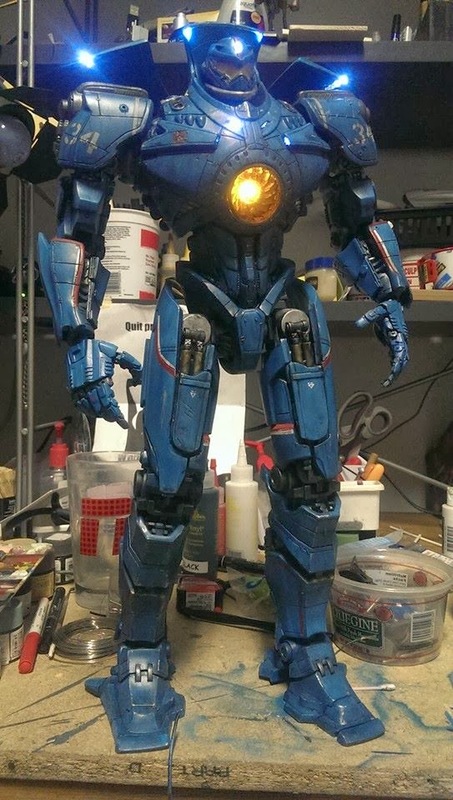 Sabretooth Workshop takes great toys and makes them greater. If he only added LED lights it would be amazing, but he recolors the toys with an airbrush and other detailed techniques to make these one-of-a-kind pieces of art collectibles. There is an led located in the head with an easy on off switch located in-between his shoulders on his back.The batteries are inside the figure and are replaceable. 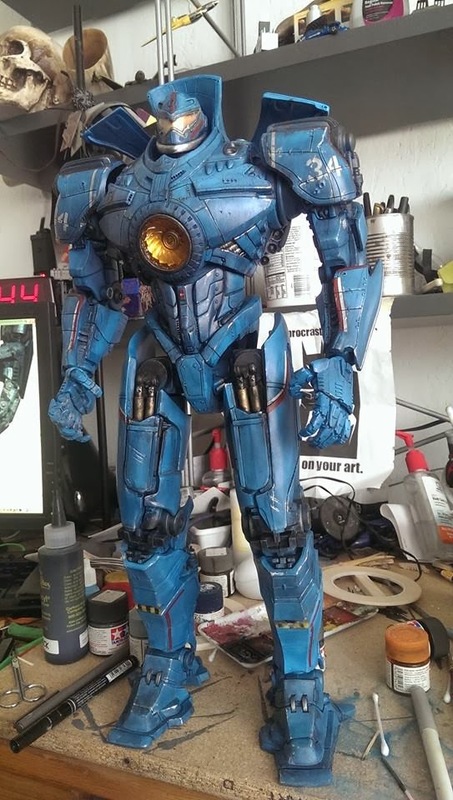 This figure has a custom one of a kind paint job that I tried to get as close to the movie as possible, I used tamiya acrylics and other quality paints on this and I sealed it many times to reduce any chances of paint wear or chipping. Recently he just did some incredible work on Gipsy Danger. See the progression below, click on any pic to see a larger view. 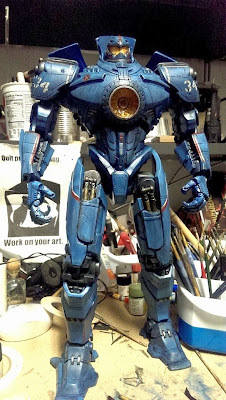 Additional paint details like weathering wear and tear are added. LED lights and wiring are installed. 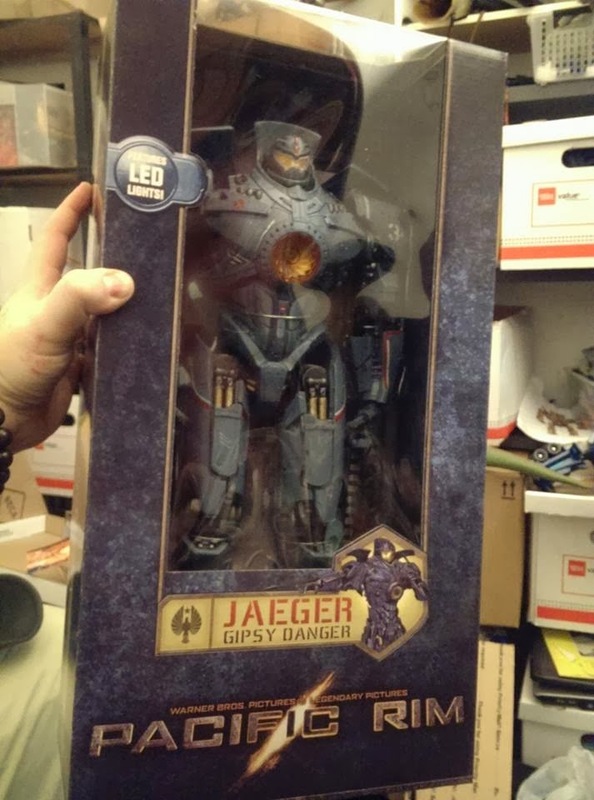 Sabretooth Workshop's Gipsy Danger is available on ebay. 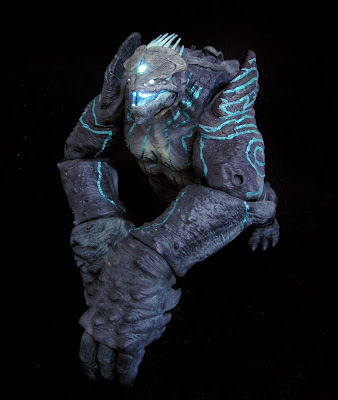 Check out some the other links below to see more of Sabretooth's Workshop stuff. It is ALL amazing.